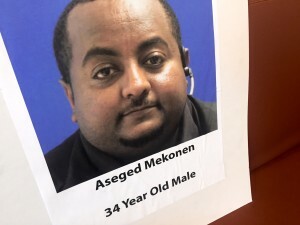 Aseged Mekonen, 34, who had been listed among seven people missing after the fire, has been positively identified, police said in a statement. Police and emergency crews removed the remains of seven people who died in the fire at the Flower Branch Apartments. But it has taken weeks to identify the victims because of the condition of the remains, police say. Earlier this week, police identified the remains of two children who died in the blaze, an 8-year-old boy and a 3-year-old boy. Saeda Ibrahim, 41, is the lone remaining resident still listed as missing by police. 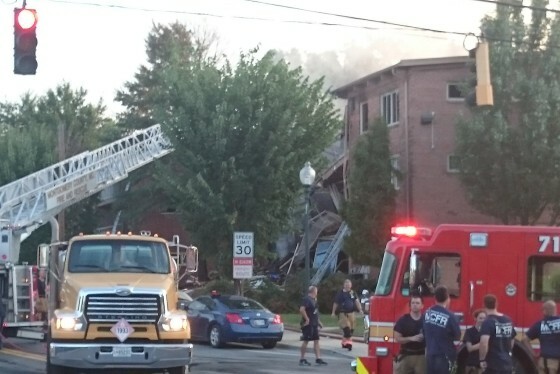 Last week, an official with the Bureau of Alcohol, Tobacco, Firearms and Explosives confirmed the fire was caused by a natural gas explosion in a basement meter room. Some residents said they had complained about the smell of gas odor at the complex before the explosion. The National Transportation Safety Board is continuing to investigate what led to the explosion.